“ Fifteen years after the UN Conference on Women that took place in Beijing, a three day women’s empowerment summit, co-sponsored by the State Department, Vital Voices Global Partnership and the international business community, opened September 15 in New Delhi. Over 250 women leaders from South, Pacific and East Asia have joined with government, business and civil society experts from across the globe to share lessons learned and hone strategies for the future. Entry filed under: Uncategorized. 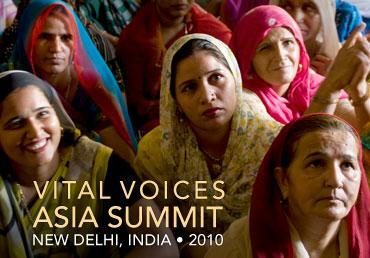 Tags: asia, India, New Delhi, UN Conference on Women, Vital Voices.